Happy Monday! That means I get to announce the winner of Wednesday's game. Congratulations to Karen A! Connie will email you a coupon code. I hope everybody will join me on Wednesday for another game. Gotta Grab It is going on over at Gotta Pixel. 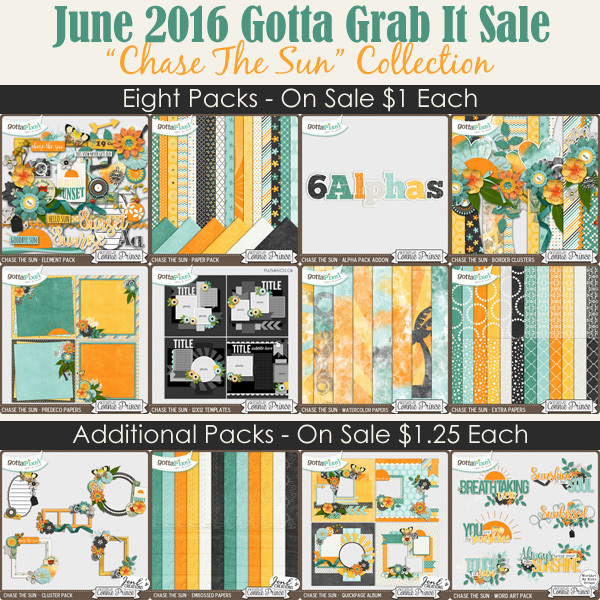 Chase the Sun is a fun, summer themed kit. I love the shades of yellow and green. I love that you can pick the products that you like best and buy just them. 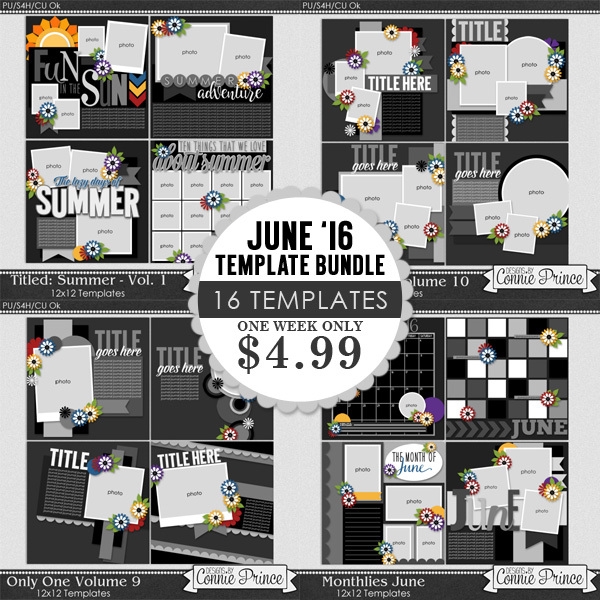 The June Template Bundle is on sale now. I love these and can not wait to use them. This is such a great deal. You get 16 full templates for only $4.99. Last of all is your freebie. 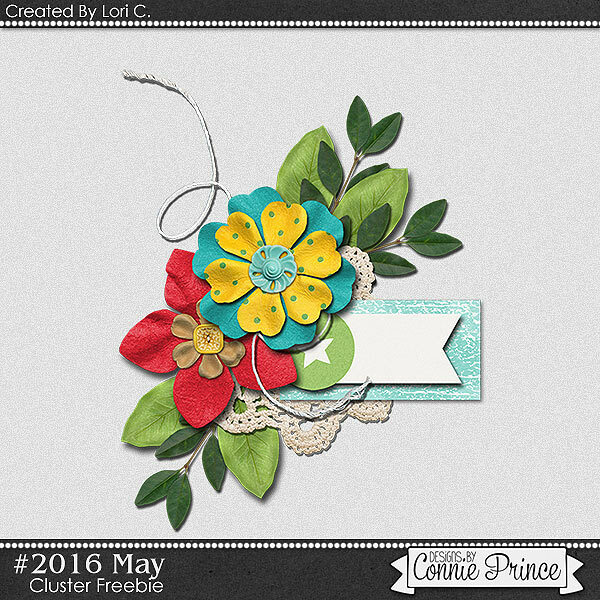 Lori C. made this super cute cluster for you. It can be downloaded HERE. Enjoy and have a great week. Love the bright colours, thank you!